Heidi F. Schultz is Executive Vice President of Agora, Inc. She is also a lecturer in Northwestern University’s Department of Integrated Marketing Communication where she teaches a graduate course in Building Brand Equity. Schultz has over two decades experience in media management, direct marketing, market research, and strategic planning. She has worked with clients in the areas of publishing, tourism, hospitality, restaurant, retail, industrial products, technology and financial services, and specializes in the strategic marketing communication planning, branding, and the application of database information to integrated marketing communications programs. <?xml:namespace prefix = o ns = "urn:schemas-microsoft-com:office:office" /> Schultz is a frequent speaker on integrated marketing and brand communication and conducts training sessions for corporations, marketing service providers, and media organizations. She has served as Subject Matter Expert on four seminal benchmarking studies conducted by the American Productivity and Quality Center. The first, conducted in 1997, focused on Best Practices in Integrated Marketing Communications. This was followed a year later by a study of Best Practices in Brand Building and Communication, and in 2000 by studies on Leveraging Customer Information and Business-to-Business Branding. Schultz joined Agora in June 1995 after a successful career in magazine publishing. Schultz was the first woman publisher of Chicago magazine, the nation’s largest monthly city magazine. Prior to assuming the publisher’s role she served as the publication’s Director of Operations and Circulation Director. Born in Massachusetts and raised in California, Schultz attended the University of Southern California School of Journalism, earning a Phi Beta Kappa key in the process. She later added to this journalism training by earning a Master’s Degree from Northwestern University’s prestigious Kellogg School of Management. Schultz’ professional career began as a promotion copywriter for CNA Insurance, before moving to McGraw Hill as a Research and Promotion Manager for the company’s institutional publications group. 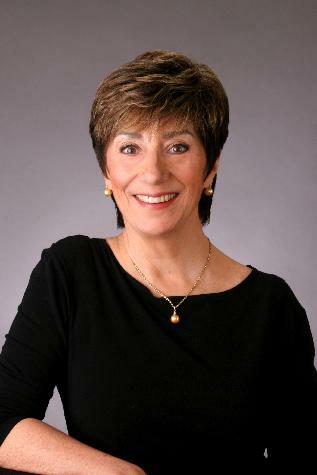 In 1975 she joined Crain Communications, where she held positions in promotion, market research, and circulation management on such publications as Advertising Age, Business Marketing, and Modern Healthcare, among others. Schultz has combined professional responsibilities with active involvement in business, civic and charity organizations. She has served on the board of directors of the City and Regional Magazine Association, (of which she is the former President) the Greater North Michigan Avenue Association (former Secretary), River North Association, and the Apparel Industry Advisory Board.